Susan Bernfield's plays and solo performance works have been presented, developed or commissioned by New Harmony Project, People's Light & Theatre, Huntington Theatre Company, Eugene O’Neill National Playwrights Conference, EST/Sloan and First Light Festival, Lark Play Development Center, Jewish Plays Project, undergroundzero festival, Chrysalis Theatre Company, Playwrights Horizons, Adirondack Theatre Festival, Soho Think Tank’s Ice Factory Festival, FringeNYC, Magic Theatre, Vital Theatre Company, HB Playwrights, HERE Arts Center, Peculiar Works Project and New Georges, among others. Her plays have been finalists for the National New Play Network's National Showcase of New Plays, Bay Area Playwrights Festival, PlayLabs at the Playwrights Center and Mill Mountain Theater's New Play Competition, and published (in whole or in part) by Playscripts, Smith & Kraus and Indie Theatre Now. 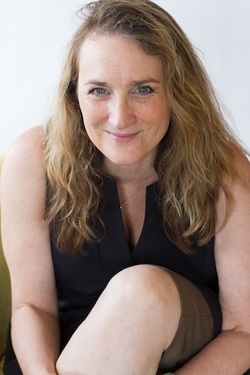 Susan is also the founder and producing artistic director of New Georges, an award-winning nonprofit theater company that has produced and developed adventurous new plays (by women) in New York City since 1992. In this capacity, she is the recipient of an Obie Award for artistic achievement and the 2014 Lilly Award for producing.